OK, we need to pause from our regular coverage for a minute, because I need to show you something. I almost feel like I’ve been played. Say you were going to leave a trap for, I don’t know — Pooh Bear, maybe. You might leave a pot of honey out on one of his regular routes. 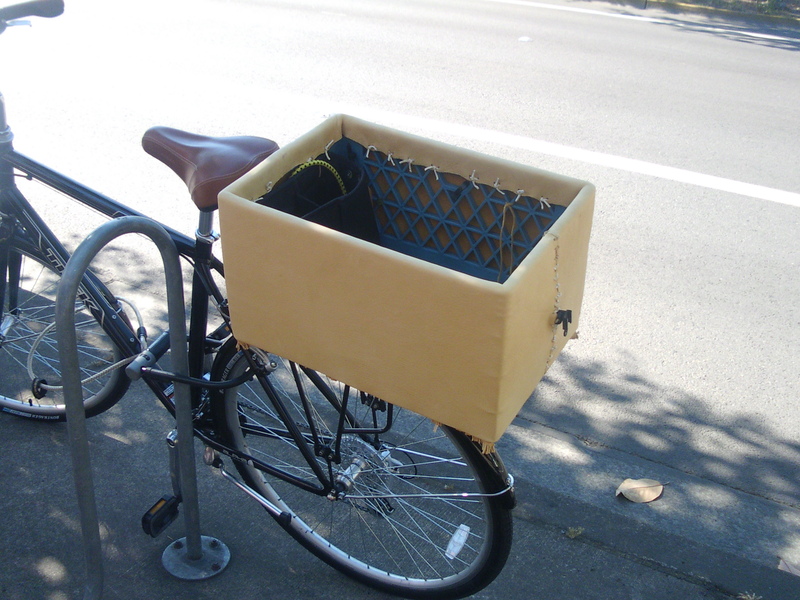 Say you were going to set a trap for Eugene Bicyclist. What would you do? 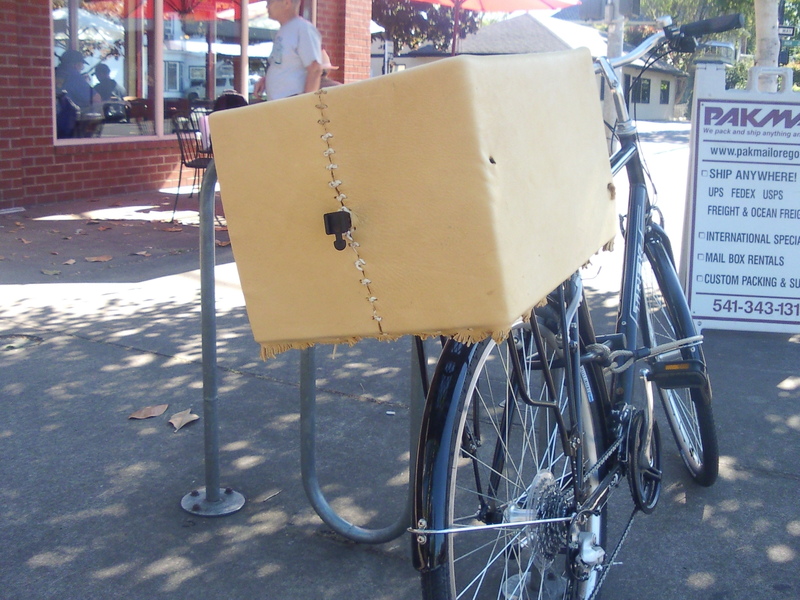 You might leave an outrageous crate bike parked outside Full City Coffee. A cratie, let’s say, that has been lovingly upholstered in fine leather. Talk about dee-lux. And fringe, too, on the bottom? Would I be lured over to photograph it? Come on. Would Pooh Bear stop for honey? So, this has nothing to do with the Tour but what better place to comment since I cannot locate the post in question. The Amazon path repair near Garfield is fully underway with big repair toys on location. One has to take a little longer detour than usual but it is fun to watch the action.